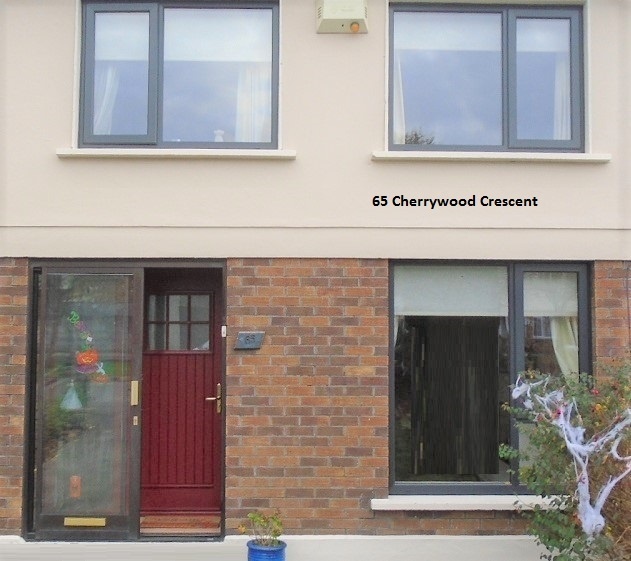 Clondalkin Windows are custom made for all homes and apartments. Prices are competitive and transparent. €500 will get you a six by four window. Price are always dependant on colour, design and openings. 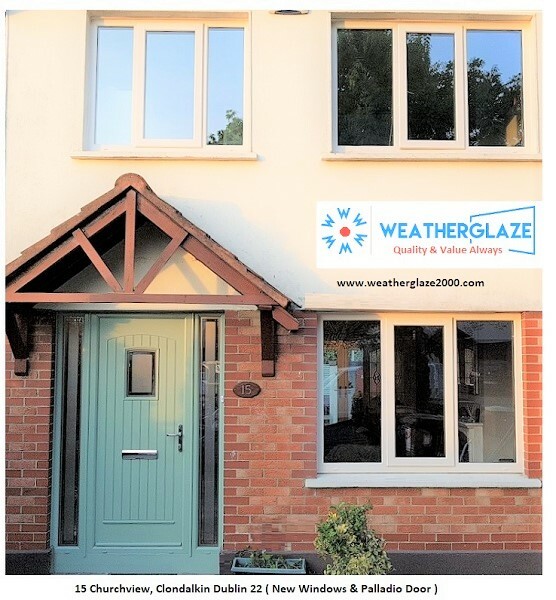 The German window system available from Weatherglaze is second to none. It comes with a full manufacturer’s warranty and this is transferrable. This is a valuable point should you wish to sell your home and move elsewhere. At a minimum your new windows should be double glazed. The units should be minimum 24 mm in overall thickness. This measurement is taken form outside of panes with a 16mm space in between. The glass should be separated by a warm edge spacer bar which will give you maximum insulation. The insulation is further enhance by the injection of argon gas into the unit. Currently we insert 28mm units in all our windows, but if you require a wider unit, we will do our very best to accommodate. Clondalkin windows offer security and insulation at affordable prices and will meet all standards and regulations. In the image above, you can see how the Chartwell Green Palladio Door compliments the cream windows. The windows are double glazed and the door is triple glazed. Both will provide sufficient sound insulation and give great preservation. 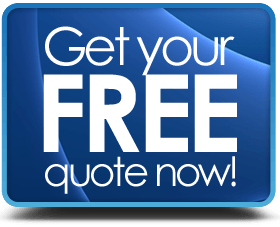 To get your quote, just fill in the quote form and we will be delighted to offer advice and arrive at a price to suit your budget. There are many companies offering all types of gimmicks and inflating prices, so they can the offer you discounts. This is an old trick and one which we do not agree with. At the end of the day all you want is a fair price, and good replacement windows that will last a lifetime. You don’t need to engage with a trumped up salesperson, more concerned with his sales commission than your welfare and money. Our agents and surveyors are fully trained and will assist you every step of the way. A sample window will be shown to you, and every detail and feature will be explained.